Less than a year ago, Oscar De La Hoya had an entirely different opinion about UFC lightweight champion Conor McGregor entering the sport of boxing. It was nothing more than typical hypocrisy from De La Hoya, who clearly suggested that a Canelo-McGregor fight was a possibility. Keep in mind; this is the same De La Hoya that tried to convince boxing fans that Amir Khan was a suitable challenger for the middleweight title against Canelo, despite having been knocked out in weight classes three and even four levels below 160. When Canelo-Khan was announced, many ringside analysts and other reporters, asked if it was a joke. Sadly, it was no laughing matter, and the ending was seen from a mile away. Khan out-boxed Alvarez before he was knocked out senseless with a counter overhand right. 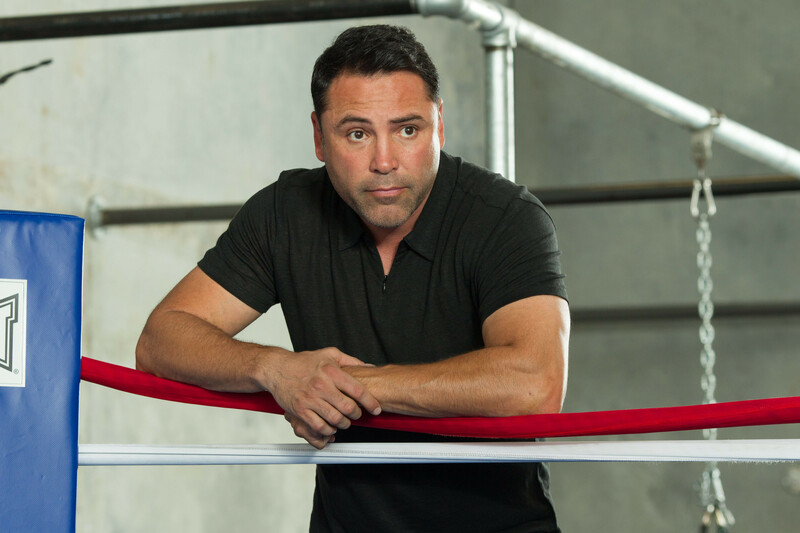 De La Hoya should be focusing on the potential Fight of the Year candidate he has on his fingertips with Canelo vs. Gennady Golovkin, which takes place on Saturday, September 16th, also at T-Mobile Arena. According to Lance Pugmire of the LA Times, it’s already sold out with a $30 million gate. If accurate, that’s 10 million more than Mayweather vs. Canelo. Canelo-Golovkin is a serious fight between two of the world’s top pound-for-pound boxers, middleweight supremacy is on the line, and fireworks are a guarantee. The fight has been largely overlooked because of the Mayweather-McGregor bout, but that’s over and done. Now, it’s up to De La Hoya, of Golden Boy Promotions and Tom Loeffler, of K2 Promotions, to build up the fight as best they can with just over two weeks until fight night.